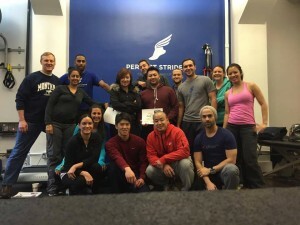 I was lucky enough to be invited to another one of Dan Park’s quality continuing education classes at Perfect Stride. This time it was for Functional Range Release (Upper Extremity) with Andreo Spina. I had been reading a lot about Spina’s work and was excited at the chance to learn about the FR/FRC techniques and principles. Andreo Spina is the creator of FR (Functional Range Release) and FRC (Functional Range Conditioning). He is an intelligent, articulate, and opinionated speaker. He has a great knowledge base and a fresh perspective on the human body. I’ve taken many continuing education courses over the years; Dr. Spina definitely set the record for most rants. However, all of his rants have a point and are very educational. He uses sound logic, conventional wisdom, literature, and dry humor to discuss current practices and clinical beliefs. I walked away from his course with a new perspective on the human body, knowledge of how to influence tissue at the histological level, and became a much more efficient manual therapist. *This is my interpretation of the class and how I conceptualize the approach. For a more complete understanding I recommend taking one of Dr. Spina’s course. He provides an extensive amount of information and resources (9 on-line learning modules, quality lectures, lifetime membership, and social media support). Neuo-based approaches have really boomed over the past decade. And for a good reason – they improve clinical care. While I love these neurological approaches and understand their value, I also think we can go off the deep end with it. Sometimes it’s easy to forget there’s a physical human body with constantly adapting tissues. Just as the nervous system has an influence on tissues, the tissues have an influence on the nervous system. Even renowned neuroplasticty lover, Lorimer Moseley, has mentioned that we should be considering the role of Bioplasticity. Andreo Spina has done a tremendous job of expanding on this tissue concept and making histology clinically relevant. FR/FRC focuses on addressing the human body from controlled and specific inputs to influence the histological processes and subsequently, the entire human body. To understand this concept, it is important to recognize that the body is constantly turning over at a cellular level (watch this – tissue remodeling). I think the quote from the class was “if you look at a picture of yourself from 10 years ago, there won’t be one cell that is the same”. How these cells turnover and in what manner depends on many variables. Specific to Spina’s work, one of these variables is force. The force that these tissues “feel” dictates how they turnover. Force influences cellular activity (fibroblast). And direction is one of the most important variables of this force. This is a very detailed and scientific rabbit hole to go down. It involves the piezoelectric effect, tensegrity, mechanotransduction, solid-state biochemistry, collagen, fibroblast activity, cellular signaling, etc. While it’s beyond the scope of this review to discuss these concepts in detail, I’ll try to briefly summarize them since it is essential to understanding the FR/FRC system. The influence of force on cellular activity deals with the connections between collagen and cells. Force is applied to the body and imparted on collagen. Collagen connects to a cell via integrins. Different cells grab onto the same collagen fibers (via integrins). When collagen gets a directional force input, it transmits this signal to multiple cells (tensegrity). This force is then transmitted from the cell cytoplasm to the nucleus (DNA/RNA). FORCE IS THE LANGUAGE OF CELLS. One example of this is Wolff’s Law. The line is the collagen, the carabiners are the integrins, the hammocks are the cells, the person is the nucleus. Any applied force on the line will be felt by each person attached to the same line (regardless the distance from the force). To put it in clinical terms, your sedentary 45 year old patient that has been wearing high heels for over 30 years is going to have some adaptive tissue changes. There’s going to be a histological tissue adaptation. After years of not using ankle dorsiflexion, her body will remove the cells that foster normal dorsiflexion. There isn’t a neurological trick you can do to change tissue in one session. In fact, there isn’t any one input that will change tissue immediately. To adapt and influence that tissue, you will need frequent, long duration, directional force inputs. What Are We Really Feeling? Another main concept of the course was to question our manual assessment/intervention. I think an analogy might help explain this concept. Lets take a single-leg stance assessment. You notice that there’s a significant compensated trendelenburg. A decade ago we may have accused a weak glute medius and then just hammered the patient with isolated hip abduction exercises (movement blunder). But now we know there are so many possible causes of this movement pattern that it is nearly impossible to pin it on one thing. The same thing applies for manual therapy. All we have is our hand contacting another person’s body. There’s just a hand to skin interface and we are trying to feel for something. But can we really say what that is? Is it a fat pocket, malaligned collagen, a tissue anomaly, a genetic difference, or tone? By saying it’s scar tissue or a knot are we bringing the movement blunder to manual therapy? By focusing on feeling for aberrant forces with movement, we have a more honest assessment. It takes out the assumption blunder and reduces confirmation biases. For me, Dr.Spina’s approach is best understood from the Dynamic Systems Theory and Degrees of Freedom Problem point of view. The premise is that there is an infinite amount of ways for the human body to move. This is because there is a collective Degrees of Freedom that incorporates ALL the complex variables/sub-systems (in the continually changing internal & external environment) required to achieve a task. 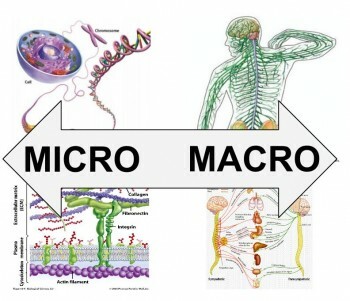 One of these variables/systems is the state of the body’s peripheral tissues. 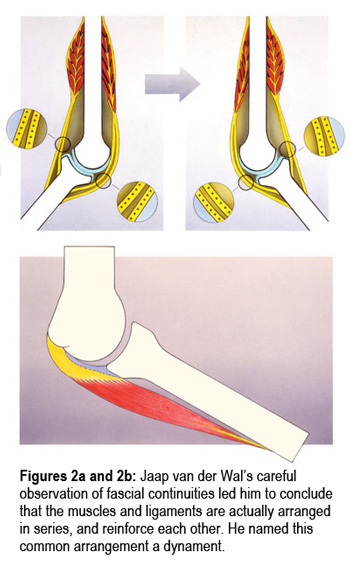 More specifically, an important tissue variable is the degrees of freedom of the joints (articular ROM). If there are adaptive histological tissue changes that prevent normal joint movement, then the collective Degrees of Freedom will decrease. The brain will have less motor control options. The body will lose movement variability. The attractor state will deepen. Losing degrees of freedom at the joint level can have a significant impact in the body’s ability to manage movement. For an example, lets look at a simple digit lock. It is not a complex open loop system (actually the opposite), but it’ll hopefully help explain how this concept pertains to FR/FRC. Going from a 3 digit lock to a 4 digit locks increases the variables of combination from 1,000 to 10,000. Take a 3-digit-lock. 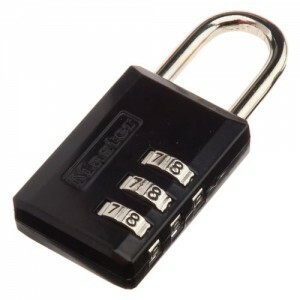 Each digit requires a specific number to match the right combination to unlock the lock. With the numbers 0-9 and a 3 digit combination, there are 1,000 possible combinations. If you add just one more digit and make it a 4-digit-lock, the number of possible combinations goes from 1,000 to 10,000. Pretty significant, right? Simply adding just 1 digit has a massive effect on the amount of variable combinations. One variable can significantly affect the whole system. You could look at the body the same way. Having minimal joint motion may provide for some adequate movement options (3-digit-lock). But having even just a little more joint motion can have significant impact in the movement options (4-digit-lock). What if you needed the 1,001 movement combination to safely land from a jump? If you only have 1,000 options, you’ll compensate and risk injury. This analogy works for the entire spectrum, from your 1-digit-lock medicare patients to your 100-digit-lock gymnast. This is why Andreo Spina’s assessment approach is to first check every articulation of the body (joint ROM). His philosophy is that if you don’t have the prerequisite articular motion then your movement will suffer. Why not focus on the other variables? Because you can’t build strength, stability, or motor control in ranges you don’t have. Developing the optimal ROM takes priority over developing strength in an inadequate range. Once he assesses the joint articulations, he will assess the soft tissue with palpation and passive movement. If the person is in pain, he tries to reproduce it with palpation to determine a specific tissue diagnosis. If there is no pain, he palpates the local area to asses how well the tissues are moving. Force is the input that tells the fibroblasts how to lay down. Research has shown that it takes 2 minutes for these fibroblasts to become activated. If you’re constantly changing direction or moving, then the cells won’t get the right input. So if you’re trying to influence tissue, you need to hold the directional force for 2 minutes. He had a great analogy of a phone call. You need to stay on the line long enough to get the message across. If you keep hanging up (e.g. pin and stretch manual techniques, STM, etc. ), then the communication won’t go through to the fibroblasts. Keep patients in the same posture, don’t pump through ranges of motion, hold tension longer, think directionally. Spina has created a very user friendly system for applying isometrics to influence tissue and improve range of motion. These are PAILs and RAILs (Progressive Angular Isometric Loading & Regressive Angular Isomeric Loading). These are very direction specific interventions. These techniques are best understood in the context of the class, but I will briefly describe them here. During the palpation aspect of the course, Dr. Spina revealed this disconnect between what we were taught and what is actually in the body. Here’s some of these revelations. 24) Flexibility is governed by the nervous system. You have to train it in the gym, not manually fix it with your hands. Overall this was one of my favorite courses I’ve ever taken. It gave me a new lens on the human body, provided a simple and effective way to influence tissue, reduced my need for manual therapy, and gave me a direct treatment approach to achieve long term goals. I highly recommend this course (or the FRC) for all movement professionals. One of the greatest things about Dr. Spina’s work is that it can easily be incorporated into any approach. You can still do all the neurological stuff, but after you get them FN/Centrated/Neutral/Whatever, just add in some inputs that will influence the tissues in the new and improved position. It’s important to work with the nervous system after an injury (motor patterns, pain, ANS, neutrality, etc. ), but it’s also just as important to work on the tissues themselves. We are lucky to have so many approaches out there that identify the neurological needs of the system. Now we’re lucky to have Dr. Spina’s approach to address the histological needs of the system. This is a big rabbit hole to go down. There is plethora of research and articles. It is difficult to just reference one. FR/FRC Instructor, Michael Chivers, recommends starting with Helen Langevin and Donald Ingber. This is similar to researching cellular adaptations and histological changes to input. There is so much out there that it becomes difficult to reference. If you are new to these concepts, start by researching the different types of motor control theories. Then research Bernstein’s work and the degrees of freedom problem. Then dive into the Dynamic Systems Theory. This has become a standard in the movement sciences (or at least I hope so). Most clinicians are familiar with this approach thanks to the work of Tom Myers, Robert Schleip, Jaap Van Der Wal, and Leon Chaitow (among many others). Hello Aaron, thank you for creating and sharing this! I took FRC in January and found this to be a fantastic refresher. Please do not feel obliged, however I was wondering if you can elaborate on the following claims made about the benefits of isometrics. Aaron, thanks. This was great. Hey mate, do you know the specific reference andreo spina is talking about with regards to fibroblast activation and the 2 minute threshold? I’ve asked around and no one seems to have a specific article with that number. I often just get pointed to the latest fascia research. Let me know if you ever end up finding it! That was a great read – I will definitely take one of his classes in the future. Thanks so much!